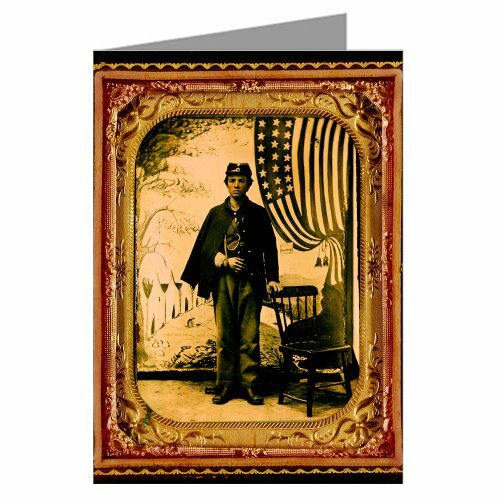 This is Printed from the 700 Ambrotypes and Tintypes that the Liljenquist family collected of the Civil War in remembrance of the 620,000 Servicemen on both sides of the Mason Dixon line who died. AmbrotypeÕs were an underexposed glass negative with a dark backing that creates a positive image. Popular during the Civil War. Photographers applied pigments to add color, often tinting cheeks and lips red and adding gold highlights to jewelry, buttons, and belt buckles. Ambrotypes were sold in either cases or ornate frames to provide an attractive appearance and also to protect the negative with a cover glass and brass mat.